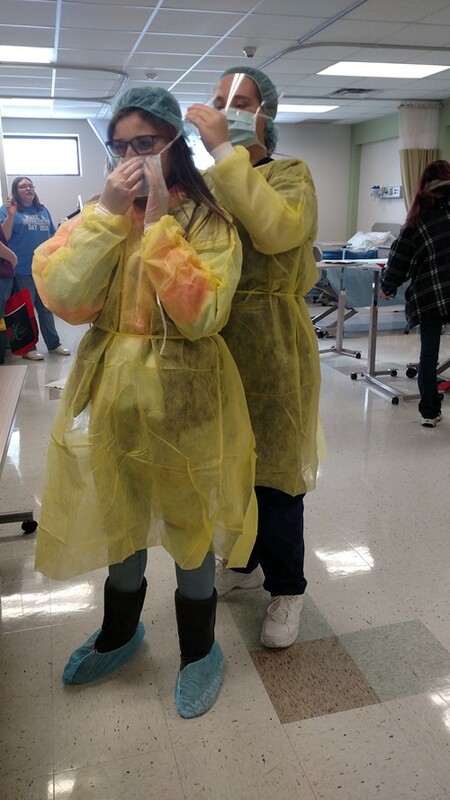 Tory is getting dressed up with the help of Tri-Rivers student Halley Spears in the Health Careers Academy. North Union students visited Tri-Rivers to tour different program options. Students were able to experience programs such as Health Careers Academy, Ag & Industrial Power, Veterinary Science, Culinary Arts, and many more.